PSL Islamabad team players list is Given below. Islamabad United is getting ready with some smart moves in the player auctions. Film Star Fawad Khan is appointed the brand ambassador for the team. Andre Russell ruled out, Was banned by anti-doping laws. Steven Finn named as his replacement. Pakistani captain Misbah-ul-Haq will lead Islamabad in PSL 2018. There are some big names in the side which include Mohammad Irfan, Sharjeel Khan, Mohammad Sami and Khalid Latif among others. Sharjeel has been in the Pakistani international set-up as well while Mohammad Irfan will look to build on it. Mohammad Irfan has been firing on all cylinders for Pakistan and will look to do the same for Islamabad United. They have also made very significant international additions. Shane Watson, Steven Finn, Samuel Badree, Brad Haddin, and Sam Billings all offer different dimensions on the side. Watson is a world-class operator with both bat and ball. Badree is a demonstrated spinner while Haddin’s retirement implies that he will be accessible for the whole span of the competition. The former Australia wicket-keeper has been doing well in the BBL this year. Sam Billings did well on England’s tour of UAE as they took on Pakistan and the team management took note of the same. UAE Capital Venture group bought Islamabad United for $1.5 million US dollars, and they have put some unyielding minds in charge of the team. Former Pakistan bowler Wasim Akram has named as the director of Dean Jones as the head coach. Former Rawalpindi Express Shoaib Akhtar is bowling coach for Islamabad United. 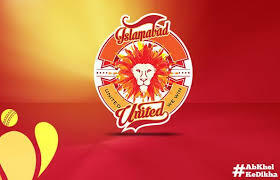 Islamabad United is balanced on paper, and they can go with a variety of combinations. It will be disappointing if they do not go very far in the tournament. Islamabad United PSL team players list is placed below.